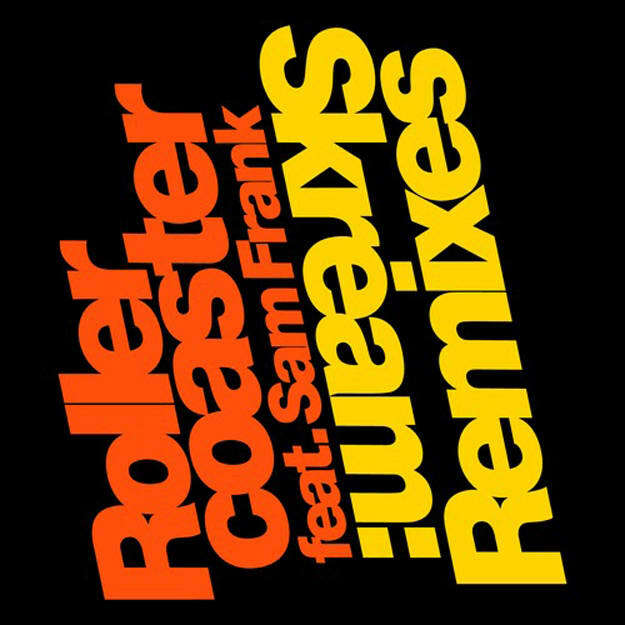 Skream ft. Sam Frank - "Rollercoaster (Hrdvsion Remix)"
Well alright. We weren&apos;t expecting more remixes of Skream&apos;s "Rollercoaster," seeing as the advertised reworks from Jimmy Edgar and Route 94 have already surfaced. Earlier today, Mixmag premiered Hrdvsion&apos;s take, which at once makes Sam Frank sound like he&apos;s getting a Daft Punk rework before dropping an acid-heavy techno bounce to the track. It flows on a different wavelength than some of the other techno tracks we&apos;ve been used to, but that&apos;s part of its charm. Truth be told, I kind of dig this version a bit more than the others! And word is that Curses and Dimitri From Paris will also have remixes? This single release is going to be major!